Obviously, it’s a tough break for the Colts, who just got two players cleared from the league’s concussion protocol, Andrew Luck and Clayton Geathers (who missed the Jets game because of a neck injury–not a concussion), as both players were held out of the Pittsburgh Steelers game just a week prior on such a short week because of head injuries. 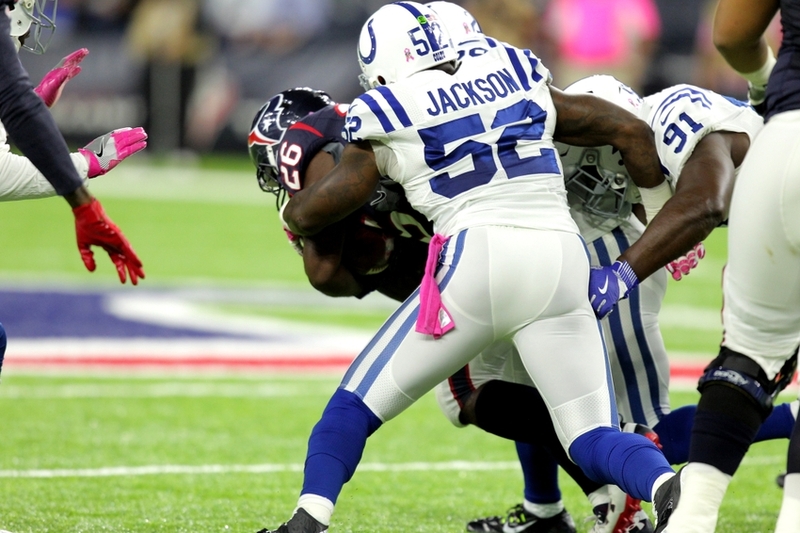 The Colts will be playing on another short week against the Houston Texans on Sunday, meaning that time will be of the essence for both Jackson and Good to clear the league’s concussion protocol ahead of a must-win divisional game against the Houston Texans. The uncertainty of Geathers’ neck injury could complicate things if Jackson were to miss time, as the starting safety has filled in as a hybrid linebacker at times for the Colts and could alleviate some of the strain at inside linebacker. Otherwise, it would appear that either backup Josh McNary or Antonio Morrison would be the next man up again for the Colts alongside young starting inside linebacker Edwin Jackson. Still, it would be a significant blow, as Jackson is the Colts leading tackler on the season and a veteran leader of the defense. Meanwhile, it’s easy to feel bad for Good, who was battling a shoulder injury last week just to be able to play on Monday night, but finds himself back on the team’s injury report again. In his potential absence, expect versatile veteran Joe Reitz to start at right tackle with impressive rookie Joe Haeg sliding over to starting right guard. Nevertheless, it’s still early in the week, and it’s possible that either/both of Jackson or Good could be back in time for the Colts AFC South showdown against the Houston Texans.